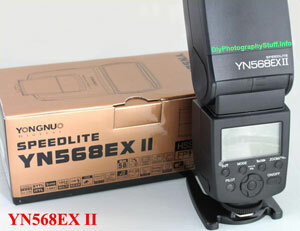 But under the radar and already available to buy, YongNuo updated the very popular YN568EX and now you can get for about 10$ the new YN560EXII. You probably ask what are the differences between they both? What About The Phottix Mitros? This new flash by YN comes as a rival to the Phottix MITROS TTL FLASH. Phottix were proud with the fact that the Mitros can act as a master to Canon units, now that the YN can do this too, they are in a bit of marketing issue (The Mitrox costs about 300$ while the YN568EXii sells for a bit less than 180$) . I must say that I’m extermly pleased with my YN568(I) I work with it constantly and like never misses and is a fantastic match to the YN622s. Yongnou has now more experience and user feedback with yn568exI so if there are things to fix I’m sure they did it in the II model. Only 10$ difference and you are getting the cheapest flash control option on the market, thats makes the extra 10$ worth!